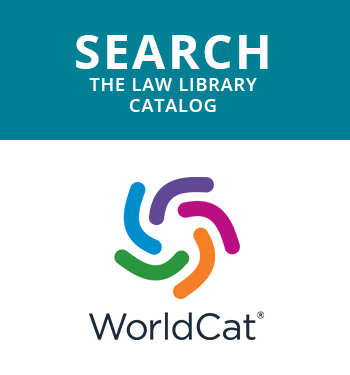 Environmental and energy issues permeate more and more areas of law amidst a profound transformation over the past 50 years in attitudes regarding the planet and its life support systems. Increasingly, air, soil and water resources drive economic and public health issues, while public and private sectors focusing more attention on planning for the transition from fossil fuels to renewable forms of energy. IIT Chicago-Kent has been in the forefront of training legal professionals to deal with these critical, rapidly emerging issues. 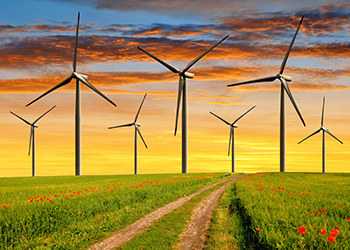 The law school has long been recognized as a leader in the field, having established one of the first specialization programs in environmental and energy law in the mid-1980s. The Program in Environmental and Energy Law allows J.D. students to gain in-depth knowledge of this important area of practice. The program provides not only a firm grounding in the core legal principles of environmental law but also an understanding of the underlying scientific, economic and ethical concepts that inform environmental and energy policy. This theoretical foundation is supplemented by practical application opportunities through externships or through supervised involvement in one of the nation's finest urban environmental justice clinics. 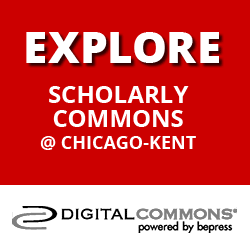 Chicago-Kent also publishes the online Journal of Environmental and Energy Law. This journal offers students the opportunity to serve as editors and to publish their work. 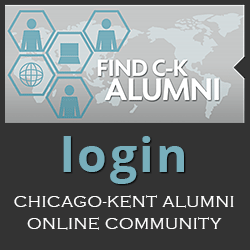 Courses and co-curricular activities are open to both certificate candidates and to Chicago-Kent students at large. Approximately 450 individual have completed the certificate program, forming a remarkable professional network for students currently in the program. The program attracts students from a range of academic and professional backgrounds. In any class, you might find an operator of nuclear reactors, a waste industry project manager, an outdoors journalist, a corporate environmental manager, a fisheries biologist, the editor of an energy industry trade publication, a Sierra Club activist, a microbiologist, an architect or an environmental engineer. Interested students do not have to be environmental and energy professionals. However, such varied perspectives add an important dimension to the educational experience. Faculty members also reflect this diversity of background, as do the many program alums who have become prominent in the field of environmental and energy law practice across the country. The program's theoretical courses, combined with externships and clinical experiences, prepare students to join law firms that represent business entities subject to environmental and energy regulations, public interest groups that lobby for preventive and protective measures, public regulatory and enforcement agencies, corporations whose in-house counsel ensures operational compliance with regulations, and a host of related pursuits. Download the Program in Environmental and Energy Law graduation application.